We know there is a DIY guide for just about everything. Build this, fix that. Well here is a DIY guide for managing your WordPress website yourself. However keep in mind the following: when it comes to WordPress, there are only 2 reasons why you should consider doing your own WordPress website maintenance. You love tinkering with stuff on the web, administrative tasks, coding, following the latest technical news and security issues, you know- geeky stuff. You want or really need to save money. Beyond that there is absolutely no reason to maintain and manage WordPress yourself. When it comes to your website, You have Better Things To Do! Think of it: Why did you decide you needed an online presence in the first place? You want to write about a subject you love (a Blog), you wanted to sell something (eCommerce) or perhaps you wanted to start a site where people with the same interest could communicate, ask questions and share ideas (a Forum). If you are really serious about any of these things you will be spending a lot of time on the Front End of your site, the end the public sees. Writing, updating information, adding products and making sales, answering questions and posting photos, all of this takes lots of time and you probably are happy to do what it takes. So why would you want to Take Away time from what is important to you and spend it on the dirty details of the Back End of your site? If you don’t subscribe to one of the reasons above, than you shouldn’t. However if you do fit either #1 or #2, than this guide can come in handy. It is not an absolutely complete guide, but it outlines the essentials of maintenance required to keep your WordPress website safe, secure and running smoothly. A must if you want happy visitors. Let take a look at what is involved. Your WordPress site is a powerful system made of many parts. This includes your WordPress hosting, WordPress software itself, plugins, and themes. In addition you have your own content (articles, posts & pages) with text and images. This is a highly debatable question and to help answer it you have to consider what type of site you have, how much it is used and how many people contribute to the site. Even a lightly visited website which you don’t care much about should be completely reviewed in the Back End once a month. There is nothing worse than finding out from someone else that your site has been “down” for days or longer, or worse that is has been “hacked” and has become a security risk. Either of those problems can ruin your SEO, or your sites visibility, for months and require hours or even days of work to fix. If your site is moderately to heavily visited you should at least be reviewing all the major tasks here listed no less than once a week. My own busiest websites are maintained and or monitored Every Day! There can be no risk of even a minute of Down Time on these important sites. To that end software is utilized to notify me or my staff if a site is having issues by checking key aspects of the sites as often as every 60 seconds! So much for intense maintenance, for your site you will have to decide how much is enough. 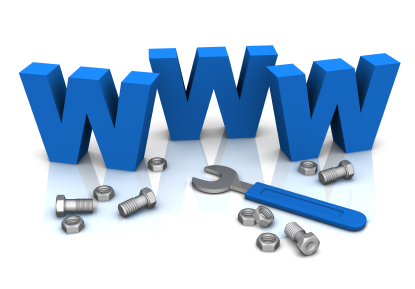 That having been said, most people doing their own website maintenance will be checking at least the basics once a week. Here in greater detail is the list of what should be included and how it is done. However, even if you are using strong passwords and they are compromised, it is possible that you wouldn’t even notice it. You can use the ‘password generator’ in the WordPress admin area for good, strong passwords. Backups are one of the most important WordPress jobs you will perform. There are plenty of great WordPress backup plugins that can help you perform or completely automate the WordPress backup process. However, sometimes your automatic backup solution may suddenly stop working without you even noticing. Once in a while, you need to manually run your backup plugin to create a complete backup of your website. After running the backup, you need to verify that your backup files are properly stored at the remote location of your choice. This can be either your own server or Cloud Storage solutions such as Dropbox, Google Drive, etc. You can go to the WordPress Updates page to manually check for updates. Review all your installed plugins and themes to make sure that they are running the latest version. The health and security of your website depends on timely updates. If you are using software such as Akismet to help stop comment spam in WordPress, then it can automatically keep spam away from your comment moderation queue. However, sometimes Akismet or these other plugins may end up marking a legitimate comment as spam. Therefore if you have even a small amount of comments you need to take a regular look at the comments marked as spam to ensure that there are no real comments incorrectly marked as spam. Once you are done, you can safely delete all spam comments from your website. If you have thousands of spam comments, then you may have to implement additional comment security measures such as reCaptcha. This can help to improve performance, and ensure that you and your website visitors don’t miss out genuine comments. Testing forms on a regular basis cannot be over emphasized if you want them to work. If I was paying someone to maintain my WordPress website and they did not have a regular schedule for testing site forms I would fire them. Many sites have 2,3 or many more forms. Comment Forms, Support Forms, Feedback Forms, Signup Forms and many more. All good interactive websites can have lots of forms. If you depend on feedback, questions or ‘sign ups’ on your website, then ALL of your forms should be checked regularly to see if they are processing user information as intended. This includes checking to see that the data being collected is being stored and forwarded correctly. There are many good Form Plugins available to produce quality, professional forms for your site. However like all your site software, they must always be updated (especially for security sake). WordPress stores most data in a database. This is complicated software that works on your server. It contains all your content, comments, users, and settings. Overtime and with use your database may gather a lot of unnecessary data or even become corrupt. This can slow down or ever stop your website from working. This can increase your WordPress backup sizes which may affect uploading, downloading, and restoring backups. If you don’t know how to optimize your database you should learn now as it will be an issue, be assured. Faster websites are not just good for user experience, they also improve your website’s performance on search engines. Google places a high value on how fast your website loads! If it loads slow you will rank very low in searches. This is why you need to regularly do a thorough performance review and test of your website. You should regularly run speed tests on your website to see how fast it loads. Speed test programs will also tell you where you can make improvements to speed up your website. While some of these improvements will need to be made by somebody technical, there are plenty of non-technical changes you can make to speed up your website without the help of a developer. Website maintenance can be daunting. However, it is doable, and you don’t have to be a technology genius to do it well. With the help of WordPress plugins, tools, and good habits done consistently, you can remain ahead of the game when it comes to maintaining the health of your website.